1. Indexing is an editorial function. You own a spellchecker, so why do you continue to work with editors? That’s easy. You need an editor to correct all the stupid mistakes your spellchecker makes, along with the 20 other good things that spellcheckers never do. Indexing, like writing and editing, requires a human being. Search, automatic indexers, and even simple alphabetizing tools are inferior, able to build things that look okay but function terribly. 2. 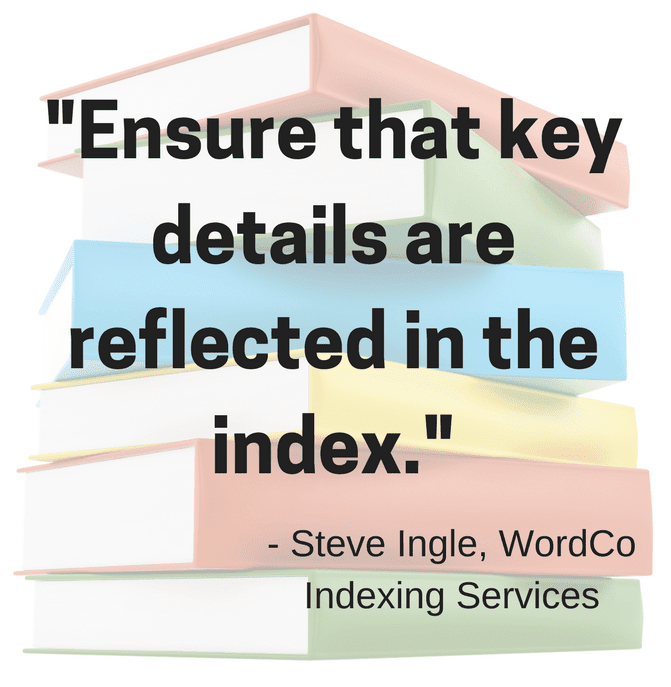 Authors can write their own indexes, but there’s no good reason for it. A good rule of thumb for deciding what to index, said freelance indexer Kay Banning, is to ask: “Is the user happy to be there when you send them there?” The answer to that question, said Banning, will help determine what to index and what not to index.